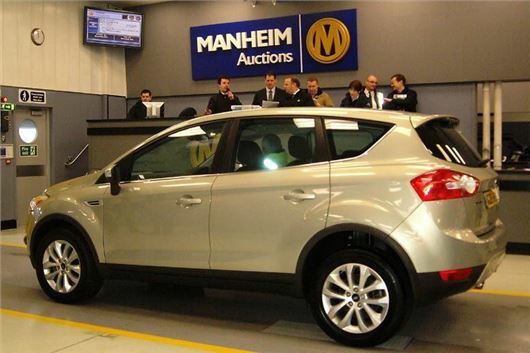 Though average used car auction prices continue to rise, Manheim predicts that more cars coming to market will soften prices by the summer. Manheim’s latest Market Analysis shows that average prices or part-exchanges sold at its auctions continued to rise during March 2014 with values reaching £3,285, which is a £69 increase when compared with the previous month. The headline figure of £3,285 seen in Manheim’s latest market barometer has been fuelled by a fall in age from 101 to 100 months and a reduction of average mileages from 77,747 to 75,592 during March. The figures have once again highlighted that the average selling prices within the dealer sector have continued on the positive price trajectory that the market has experienced since August 2013. Values during this period have increased by £656, which is reflective of a fall in age of one month and in average mileage by 1,748. When comparing year-on-year values, the average selling price in March was £55 (1.7%) higher than in March 2013. This is despite an increase of 1,157 miles in average mileage and two months in average age. However, despite this rise in age and mileage, the average days in stock has remained the same throughout the period at five days, which suggests that vehicles continue to be highly sought-after at auction. While the sun is shining today, some of the increased demand for used cars in March has to be the result of the number of cars written off by floods during one of ther wettest winters on record. When looking at Manheim’s figures in more detail, the average selling price rose for eight of the 10 segments covered by the report. The most notable increase was seen in the compact executive segment, which saw values increase from £4,297 to £4,712, or 9.7%. This value increase occurred following a fall in the average mileage from 92,287 to 90,339, but despite an increase in age of one month, to 103 months respectively. Wiseman concluded: “The latest SMMT figures show that new car registrations increased by 17.7% in March, to 464,824 units, which was only 2,130 short of the record total that was achieved in 2004. It will be interesting to see how the market reacts as we head towards summer. The obvious message is, if you can wait to buy, wait, because though you'll get less for your current car, you'll save more on the replacement. Though, of course, anyone needing a newer car now for the summer can't wait.